Did you not get enough of our popular Fallout 4 episodes that eventually people started to complain about since there were so many? You’re in luck! We do a TODPOG episode over every little bit of the Fallout 4 DLC. Just to make sure we cover everything we bring on Drinksmith Joey Webster and Ross Rachel-Green of the Nothing to Play podcast. We eat some weird and spicy foods courtesy of Kevin Link of Super Bomberman 2 fame. Ross tells a very British bathroom story. Joey celebrates his TADPOGiversary. We actually talk DLC, take a quiz and give some beards and glasses. 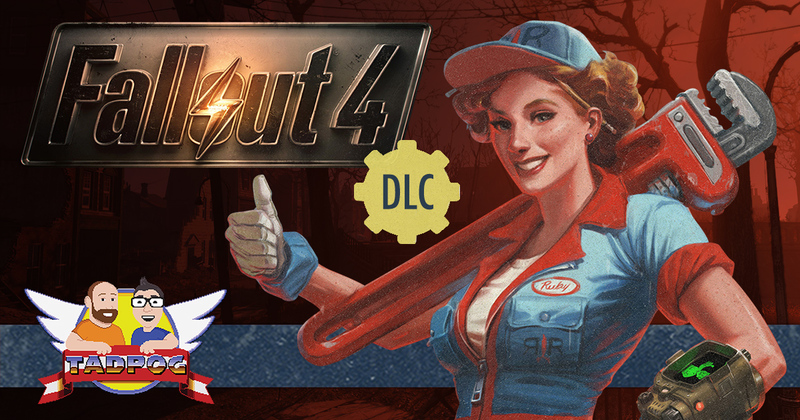 If you’re ready to round out your TADPOG Fallout 4 experience then this one is for you!